Center June Mar Fajardo (210-C-89) had an amazing evening in the last round for SM Beermen, receiving a Interperformances Player of the Week award for round 6. The 29-year old player had a double-double of 40 points and 19 rebounds, while his team beat Global Port (#10, 2-5) 113-107. SM Beermen is placed at 3rd position in Filipino PBA. They would have been even better if they hadn't lost a few games earlier this season. SM Beermen will need more victories to improve their 6-3 record. 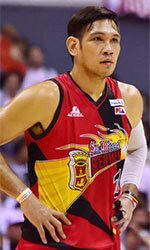 Fajardo has many years of experience at SM Beermen, through which he has constantly improved. June Mar Fajardo has solid league stats. 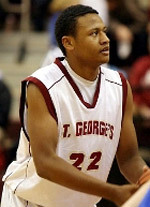 He is in league's top in points (4th best: 20.1ppg) and averages impressive 1.9bpg and 55.7% FGP. 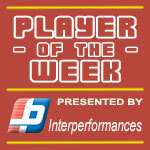 The second best player in last round's games was 28-year old Chris Newsome (187-G-90) of Meralco Bolts. Newsome had a very good evening with a double-double of 28 points and 12 rebounds. It was enough for Meralco Bolts to edge slightly lower-ranked Global Port (#10, 2-5) 126-123. This victory allowed Meralco Bolts to move up to 8th position in the standings. His team is not often considered as one of the league's best with a mere 3-5 record. Newsome is one of the most experienced players at Meralco Bolts and has a reputation of one of team's most reliable players. Third on the list of top players last round was Tongan center Moala Tautuaa (200-C-89) of Global Port (#10). Tautuaa scored 28 points and grabbed thirteen rebounds (!!!). Despite Tautuaa's great performance Global Port lost 107-113 to the higher-ranked SM Beermen (#3, 6-3). But his team cannot count on just a single shooter as he also needs help of the other teammates. Global Port can only dream about fighting for top spots in the league. They have rather bad season and 2-5 record places them close to the bottom of the standings. Too bad for Tautuaa he does not play for a better team. But maybe if he did, his season stats would not be that high. Tautuaa has individually a great season in Philippines. After only 6 games, he made it on the list of the league's leaders in points with 18.5ppg (6th best). Moala Tautuaa has also Filipino passport and can play in the league with a status of domestic player.